Still DWM, new color scheme and added a background to urxvt instead of it being transparent. really good bar config , can u tell what use ? Really beautiful and simplictic panel, what is it? A dzen2 based panel I very recently wrote for bspwm. 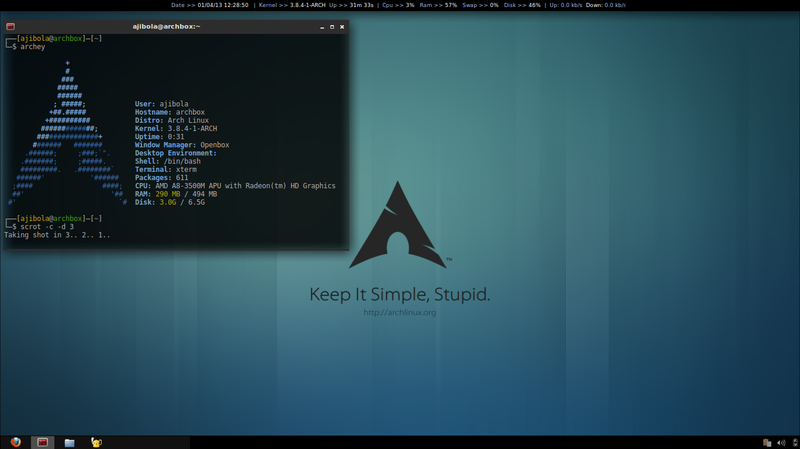 So, I switched to Awesome, (I've been a KDE/GNOME user before), and haven't looked back. Interested in an iOS app for offline access to the Arch Wiki? Looove this theme. Gonna stick with it for a while. I've seen you post this a couple of times before, but I have yet to see you mention what ncurses tetris clone that is. I'd be very interested to know, because I wants it! Can you share link to the wallpaper? @zwinnyzz: Sure. It can be found here.